Click the button below to add the Cthulhu For President: The Game PDF to your wish list. The classic Beer and Pretzels Role-Playing Game is back, with topical new cover art by Victor Leza! There is no Alternative - this Election Day Surrender to the Truth! 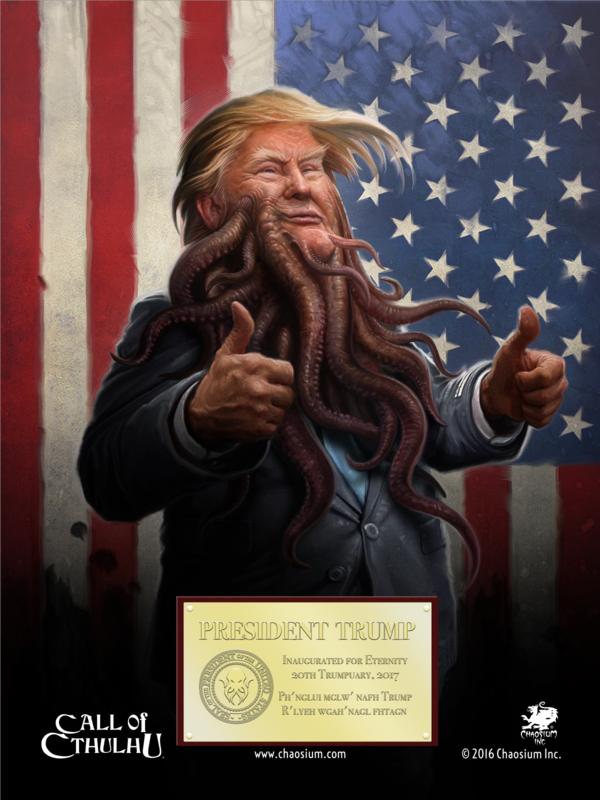 Cthulhu For President is a complete roleplaying game with rules for character generation, skills, combat, and magic in the shadowy world of occult national politics. A Campaign Manager™ section includes adventure seeds, political enemies, game-master secrets, and a ready-to-run adventure. 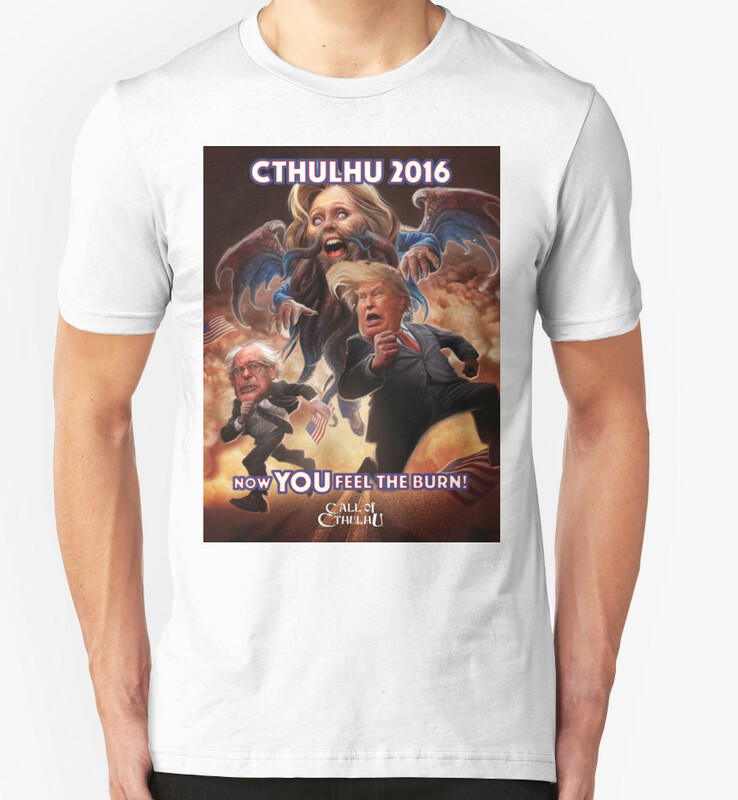 Like the Cthulhu for President Art? Check out our new Redbubble Store! Strange Aeons Are Upon Us! Chaosium Inc. and 9th Level Games became strange political bedfellows to bring to life the mind-bending horror that is an election year. DOWNLOADABLE BOOK. By Chris O'Neill and Dan Landis. 76 pages, illustrated. 8.5 x 11"downloadable watermarked PDF book with cover images by Victor Leza, created from electronic production files. * Purchase of this game constitutes a binding contract with the Elder Party. Through this action you have sworn your vote unto Great Cthulhu. Failure to complete the terms of this contract will result in a Yog-Sothoth audit and other forfeitures. The Stars Are Right!